The Confederate Flag: Can a Flag Change Its Stripes? 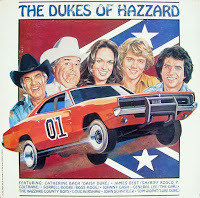 For many of us outside the USA the Confederate flag brings to mind only one thing, The Dukes of Hazard and, specifically the show's iconic car, The General Lee. It was a fun TV show from our childhood that somehow taught strong family values whilst thumbing its nose at a mildly corrupt Police force and causing thousands of dollars damage to Police vehicles. Back when the original show was hugely popular no one ever thought about the implied racism of the Confederate (or 'rebel') flag. Other than a severe lack of ethnic diversity in the cast, not uncommon for shows of that era, no one associated the show or the flag with racism. It's not surprising that several of the shows stars have spoken up (once again) supporting the flag and the values they feel it represents. Differing ideas on the Flag. Clearly, over time, the Confederate flag has come to represent something else, namely racism. It's an evolving idea since many US states and their people are still very proud of the flag under increasing pressure to stop flying them at various locations, including government buildings. On the one side people say the flag represents great Southern values and heritage whilst on the other it represents an army and government that supported slavery and fought to keep their slaves. I don't profess to know the actual history of the flag though I've read much about it and what it represents in the wake of the murder of nine people in a church in South Carolina. Reportedly the killer posted a photo of himself alongside the Confederate flag to social media thus sparking the flag debate yet again. Because, obviously debate over a symbol is easier than understanding why anyone walks into a church and shoots nine people of color. What I do know is that history is destroying my childhood memories. When you have people like Bill Cosby, Michael Jackson, Rolf Harris and Garry Glitter being accused and/or convicted of sexual crimes it's hard to enjoy your memories as they always end in a postscript of where that person is now. A happy memory becomes either sad or at least an expression of disappointment. I really enjoyed The Dukes of Hazard during my childhood and that car, the General Lee, was the most awesome car on television. It could damn near fly. With Warner's decision to no longer sell merchandise featuring the confederate flag that means an end to General Lee toy sales. As more and more support for the removal of Confederate flags grows the harder it becomes to enjoy a TV show that was never about racism but will forever be postscripted to that idea. It's a shame really. 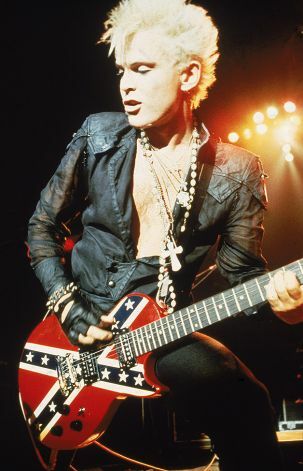 Whatever you think about the Confederate flag, you have to admit it's one of the best looking flags around, used often to represent 'rebels' everywhere - even Billy Idol used it at one point in his shows and merchandise. What I would like to see is supporters of the flag not only embrace it but to spread the idea of the values it currently represents for them in today's world. Push back against the tide of people suggesting the flag is racist and firmly associate the flag with anti-racist values. Yes the heritage of the flag includes slavery and, depending on who you talk to, the Confederates either fought to keep their slaves or they fought to remain independent of the Union (or both), I don't know, but the flag could grow to mean something else. If a flag can become a racist symbol then surely it can grow into an anti-racist symbol? Change its stripes, so to speak. When you think about it, the confederate flag could be embraced by the true rebels who fought against racism. People like Rosa Parks (Yes, I know that idea is probably very offensive but read on). A flag that rebels against its own history and becomes a symbol for true family values and equal human rights. That would be something the Duke family would support. Keep the flag and open a new chapter in its history of what it represents.